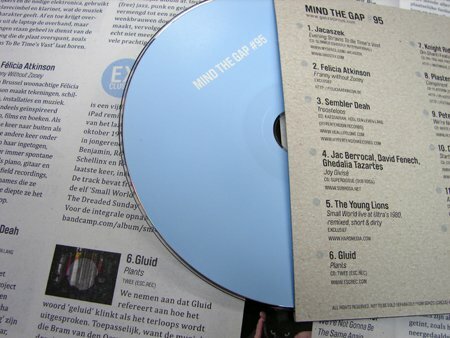 Gluid on Mind The Gap CD | Esc.rec. The track ‘Plants’ from Gluid‘s new album Twee, was selected for the Mind The Gap CD that accompanies Gonzo Circus Magazine. This is the second time one of Gluid’s tracks ends up on a Mind The Gap compilation. Clearly somebody’s paying attention overthere!